2018 has brought a string of days with extremely high, record breaking temperatures. Across the United States, air conditioning units are currently being put under a consistent level of stress unseen at any time before. And now here we are in 2019, here’s what to know about high temperatures and air conditioner repair. These units are also being exposed to longer 24 hour periods of use than the average unit experiences. Even on particularly hot days, night usually brings a much cooler period of the day that allows air conditioners time to run at much less demanding levels. In 2018, even evening temperatures were so much higher than average that AC units were forced to work overtime. Adjust your temperatures 20 degrees lower than the outside temperature. On days with exceedingly high temperatures, a great way to extend the overall lifespan of your AC and save on your energy bill is to follow this simple formula. While you won’t be as comfortable as you could be at a standard, low target temperature, adjusting to 20 below still keeps your interior environments much nicer than the outdoor temperatures and you put much less stress on your AC. Avoid using heat-generating appliances during high temperatures. Dishwashers, dryers, and ovens all generate massive amounts of heat that you intuitively ignore during normal weather days, as your A/C mitigates them with ease. During demanding temperatures, this impact ends up mattering a great deal more, and puts additional stress on your air conditioner. To keep energy bills under control and guarantee a comfortable environment, avoid using these household appliances until lower evening temperatures, or waiting for the next day’s temperatures. Leave your air conditioner on at a nominal temperature even when you’re away. This one may seem counter-intuitive; saving your air conditioner from stress by running it more often? The goal here is to keep running at a consistent temperature, rather than starting from the highest temperature several times a day. 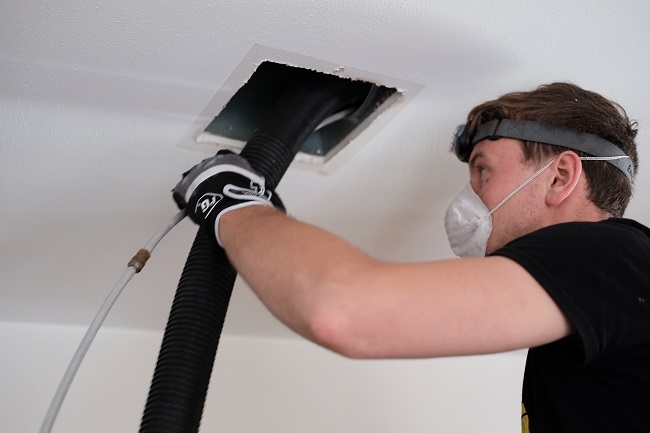 Following the first tip above combined with keeping the air conditioning on throughout the day will give you a comfortable interior with minimal stress, as well as avoiding uncomfortable periods when re-entering a hot home. Replace aging AC lines. Demanding usage periods often contribute to heavy wear on your AC lines. By following the steps above, you’ll reduce wear, but after a run of demanding weather, eventually you’ll need an air conditioner repair team to diagnose issues with your lines and replace those with potential failure points. Additionally, if you haven’t checked on your lines in some time, you may already have damage that contributes to your AC operating inefficiently, leading to operational stress and unnecessarily high energy bills. A simple line replacement could drastically improve your AC performance! Interested in learning more simple tips on how to maintain and operate your air conditioner during demanding weather? Contact the AC professionals at Tri County Air Care today.